a) ASIAN GAMES 2014 – Incheon (South Korea): The 2014 Asian Games, officially known as the XVII (17th edition) of Asiad Games. 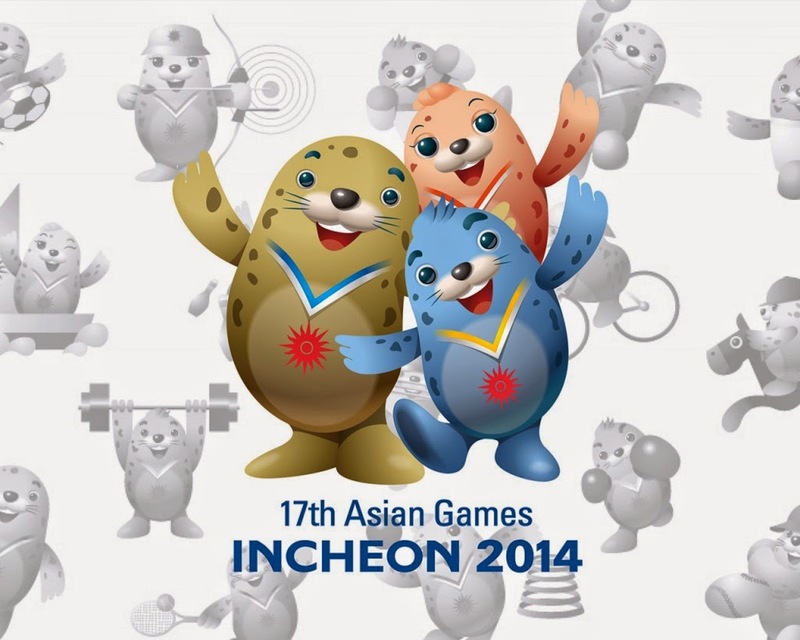 b) Mascot of the Asian Games 2014 is the Harbour Seal Siblings - Barame, Chumuro and Vichuon means wind, dance and light in Korean language. c) The theme of the 2014 Asian Games is Meet Asia’s Future. d) Motto – Diversity Shines: Here. f) Next Asian Games 2018 will be held in – Jakarta, Indonesia. g) China topped in the medal tally in Asian Games. h) India finished at 8th position in the 2014 Asian Games with 57 medals tally comprising 11 gold, 10 silver and 36 bronze. i) Kosuke Hagino of Japan (Swimmer) is announced as the most valuable player. j) Hammer thrower Manju Bala's medal was upgraded from bronze to silver after a Chinese competitor Zhang Wenxiu who finished ahead of her was caught for doping. k) Zhang Wenxiu is the sixth athlete to be kicked out of the Asian Games in Incheon, South Korea for doping and the second gold medal-winner after Malaysia's wushu champion Tai Cheau Xuen..
Gold: 1. Priyanka Pawar, Tintu Luka, Mandeep Kaur and Poovamma Machettira in women's 4x400m Relay. 4. Indian boxer L Sarita Devi stunned officials and spectators by refusing to accept the bronze medal, match held between South Korea's Jina Park.